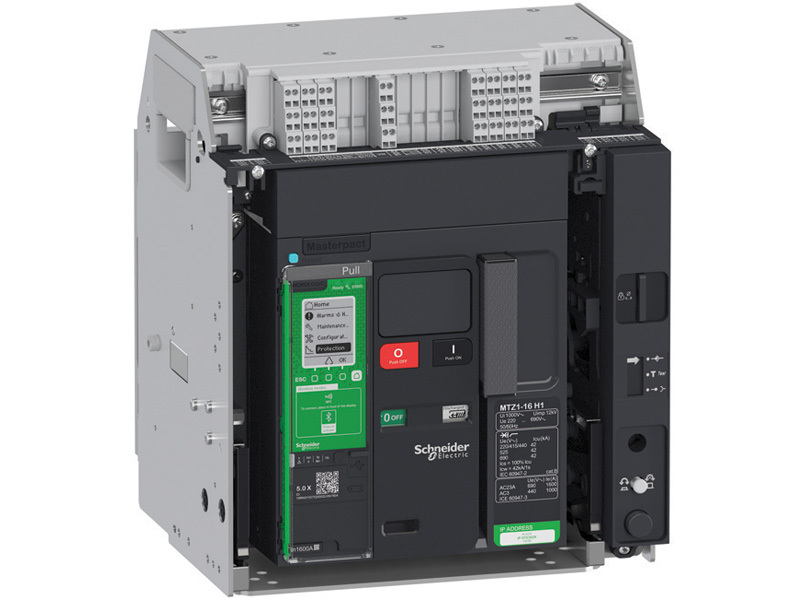 Schneider Electric has added to the Masterpact family with the MTZ1 circuit breaker, one of its smallest frame sizes yet. With industry-first embedded Class 1 metering and improved performance in harsh environments, the MTZ can reduce operating costs and improves the safety of power distribution. It offers current ratings from 630 A to 1600 A in AC power systems up to 690 Vac, making it ideal for low-voltage power systems in industrial settings, factories and commercial buildings. The MTZ1 brings added convenience to all stakeholders, from installers to end users. Its reduced scale leaves more space for other components in a distribution board and cuts down on unnecessary wiring. The range is also compatible with the latest digital modules, offering increased safety and protection, measuring capabilities and maintenance diagnostics. At the same time, the new range is as customisable as the rest of the family. It can be tailored to almost any application with a wide selection of control units and accessories. For more information on Schneider Electric, visit: www.schneider-electric.com.